Civil Litigation, including Construction Defect Litigation, Personal Injury and Accident Cases, Premises Liability, Medical/Nursing Malpractice, Negligent Security, Social Security Disability and Insurance Defense. John Boyden was born on April 25, 1965, in Denver, Colorado and was graduated from Whitman College with a B.A. in History in 1987. He received his Juris Doctor degree from Loyola Law School in 1990 where he was a member of the Scott Moot Court Honors Board. He was a law clerk for the Honorable Jerry Carr Whitehead, District Judge, Washoe County, Nevada, from 1990 to 1991. 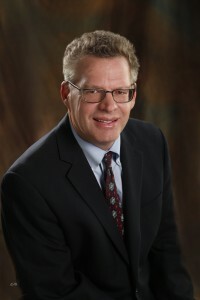 Mr. Boyden was admitted to the Nevada Bar in 1990 and to practice in the U.S. District Court, District of Nevada in 1991. He is a member of the Washoe County and American Bar Associations, the State Bar of Nevada, and the Nevada Association of Defense Counsel. Mr. Boyden has also authored two articles for Nevada Lawyer: “Chapter 40 and Construction Defect Litigation-Boom or Bust” (Jan. 2002), and “The Meaning of a Messy Desk” (Jan 2003).